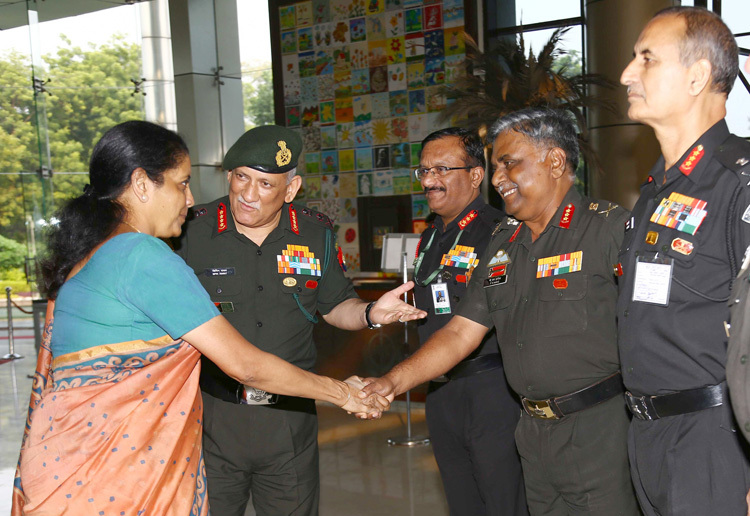 Defence Minister Nirmala Sitharaman with Chief of Army Staff, General Bipin Rawat and Army Commanders at Army Headquarters in New Delhi. Defence Minister Nirmala Sitharaman has approved the first batch of reforms in the Army which include relocation of 229 officers from the Army Headquarters and creation of a new post of Deputy Chief of Army Staff Strategy, or DCOAS (Strategy), is being created to oversee functions of military operations, military intelligence, strategic planning and operational logistics. Government has also approved the verticals of the DCOAS (Planning and Strategy) and the Master General Ordnance (MGO) into one office of the DCOAS (Capability Development and Sustenance). Establishment of a new Information Warfare Wing has also been approved. New organisations of Additional Directorate General (ADG) Vigilance (ADG DV) directly under the Army Chief, and an ADG HR under the Vice Chief of Army Staff are being established. The ADG HR is to be posted with an Indian Police Service (IPS) officer, who though not specified would probably be the number two in this new organisation. The pros and cons of establishing the ADG (Vigilance) and ADG HR can be read in viewpoint elsewhere titled 'HR and Vigilance in Army' but in a nutshell, upgrading existing Human Rights Cell (HRC) under Adjutant General's Branch would have sufficed, while an ADG (Discipline & Vigilance), ADG DV, is already functioning in Army Headquarters. According to reports, number of officers being moved out is 20% of the total officers in Army Headquarters, to be deployed in forward locations along the borders with China and Pakistan. Considering that officers posted at Army HQ are of Colonel and above ranks, how this move will translate on ground is yet to be seen. The overall reforms will also include restructuring the Army's officer cadre, bringing down age of key commands, arresting rising revenue expenditure and "right-sizing" the force. Army Chief General Bipin Rawat had also spoken earlier about the cost of an officer, but Army on an average always has shortage of about 10,000 officers and an equal number of low medical category personnel. Not only is the Army's restructuring plan independent Navy and Air Force, a major flaw is that the civilian element under the MoD is going on bloating unchecked, on which Army has no say. Against 14.5 lakh Armed Forces, there are four lakh civilian defence employees – a ridiculous ratio of 1:3.6. 36% of defence pension bill goes towards civilian defence employees. On an average, a civilian defence employee and pensioner is five times more expensive than his military counterpart or military veteran. But getting back to the report of 'Reorganisation of the Army Headquarters' having been approved by the Defence Minister, the move out of Directorate General of Military Training (DGMT) out of the national capital under Army Training Command (ARTRAC) has been missed out in media reports. The DGMT is being moved out leaving a small element in Army HQ. In effect the module of DGMT being left at Army HQ will represent the DGMT henceforth. If this arrangement is acceptable, the Army should have seriously taken into consideration the earlier study undertaken by Lt General S.S. Mehta recommending transformation of HQ Central Command to a 'Logistics Command', and concurrently reduce the relevant Directorate of Services at Army HQ. General Mehta's study was shelved citing distances between Delhi and Lucknow, but it was more over concerns about which Arm or Services would get how many two and three star appointments, and who will lose out. But if move of the Military Training Directorate is acceptable, then the recommendation of converting Central Command to Logistics Command and move out of connected multiple services directorates also must be seriously considered. Such a move would also partly address the Line of Control (LAC) with China being looked after by Eastern, Central, Western and Northern Commands in comparison to China's Western Theatre Command (WTC) responsible not only for the LAC but China's complete border with Myanmar, India, Nepal, Bhutan, Pakistan Occupied Kashmir (POK) and Afghanistan. 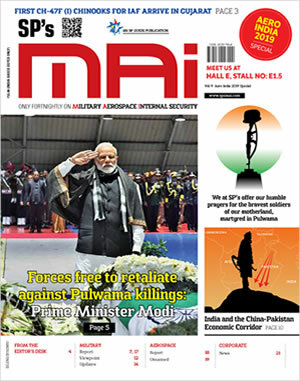 In fact there is need to holistically review the command and control of our international borders, to right current ad hoc arrangements and turf wars between the Ministry of Defence (MoD) and the Ministry of Home Affairs (MHA). At present the Army plans to move ARTRAC from Shimla to Ambala and Ambala Sub Area from Ambala to Shimla. What difficulties the units and entities dependent Ambala Sub Area would have hopefully been taken into account but ARTRAC with Military Directorate at Ambala would certainly require added infrastructure. The Chief Minister of Himachal Pradesh recently stated he would take up for ARTRAC not to be moved out but whether that was a mere political statement is not known. It was also brought out earlier that the Centre for Land Warfare Studies (CLAWS) and Centre for Joint Warfare Studies (CENJOWS) are to be brought under ARTRAC. CLAWS has always been under Army but CENJOWS was raised at the initiative of the MoD on August 24, 2007 and is registered under 'The Societies Registration Act 1860. It was set up to: rise above sectoral and departmental legacies, and examine joint warfare and synergy issues in their entirety; provide much needed interface between various stakeholders, viz the government, public and private sector, academia, NGOs and civil society, and; initiate debates and discussions in an independent and unbiased milieu for emergence of best possible alternative. Placing CENJOWS under ARTRAC would be a highly retrograde step but then the move is probably initiated by the MoD exclusively manned by bureaucrats who are not interested in such deliberations and activities. Hence, the move to get rid of it, dumping it under ARTRAC.